These are some of the items we can help you recycle. Feel free to contact us if you have any questions. Two very important resources to gain from recycling computers include aluminum and steel. 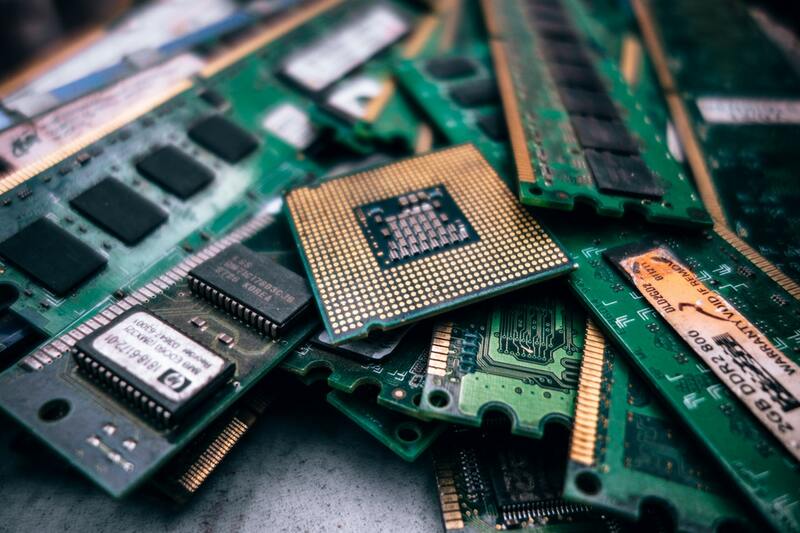 Given the fact that these are naturally occurring elements, it is pivotal in saving the environment that we recycle our old computers too.There are a variety of processes that help us extract these metals from broken down computers. However, these processes often very negatively affect the environment as side products include lead, mercury, and cadmium that often go untreated into the soil, into groundwater, or the atmosphere in general, polluting the environment. What people don't know yet is that computer recycling is a proper process that exists just for these specific tasks. The process involves taking special care of the materials used in computer hardware that can subsequently be recovered through simple recycling for use in future production. We offer workable solutions to safely recycle your broken computer systems. You need not worry about what type of computer you own or if it fits the bill. Our excellent services take care of properly recycling desktops, laptops, and even complete departments of workstations. Whether your company is upgrading to a new setup or just getting rid of part of their system, we will make sure that your old computers are safely recycled. If you are a company that is concerned about the privacy of their data before a computer is recycled, we have special procedures where hard drives are safely destroyed, or the data in them wiped clean using certified and efficient methods. All our operations are in compliance with the state and federal environmental laws, making us fully qualified for all recycling processes that we undertake. E-waste, as designated by the governmental laws, is never shipped overseas and is R2 certified. We are also 100% HIPAA, EPA, and Gramm-Leach-Bliley compliant. We are strong believers in not letting anyone build up a computer graveyard in their businesses or houses, and ensure that safe and secure computer recycling is available and accessible to every organization.